To choose your gadget, please log in to user panel and select the CHOOSE GADGET tab. You should find login and password in your mailbox. If you don’t have it, please use the password recovery option. Selection of gadget is possible only once, so please choose wisely. After form submission, there’s no way to change your selection and the only way to switch your gadget would be to trade it with another attendee. 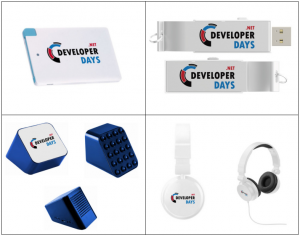 If you don’t choose your gadget by September 21st, you will receive a random one when you check-in at the conference.